US troops in Somalia may soon get reinforcements and more authority to go after radical Islamic terrorists under a Pentagon proposal to prop up the country’s new government led by an American with dual citizenship. There are currently around 50 US Special Forces operators in Somalia, with a mandate to “advise and assist” the government in fighting Al-Shabaab, a group that swore an oath to Al-Qaeda in 2012 and uses the same black flag as Islamic State (IS, formerly ISIS/ISIL). Somalia is “our most perplexing challenge,” the head of the US Africa Command (AFRICOM), General Thomas Waldhauser, told AP in an interview over the weekend. The country collapsed into anarchy in 1991, and Al-Shabaab continues to frustrate efforts to establish a functioning government. Mohamed Abdullahi "Farmajo" Mohamed, who is also a US citizen, was inaugurated as Somalia’s new president last Wednesday. 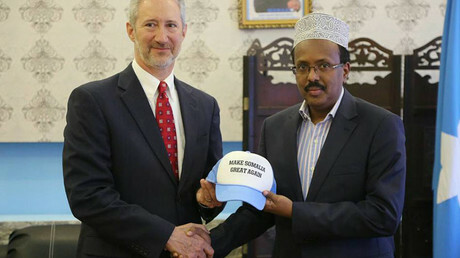 Waldhauser told AP he saw an opportunity to work with Mohamed to "train the Somalia national security forces to a level that they can take on al-Shabab on their own." The US is "trying to take a look at Somalia from a fresh perspective in the way ahead," Waldhauser said. Recommendations sent from the Pentagon to the White House include allowing US forces to launch pre-emptive airstrikes against the terrorists and take part in combat operations against the group, AP reported, citing unnamed Pentagon officials. After taking the oath of office, Mohamed warned that it will take another two decades to “fix” Somalia. 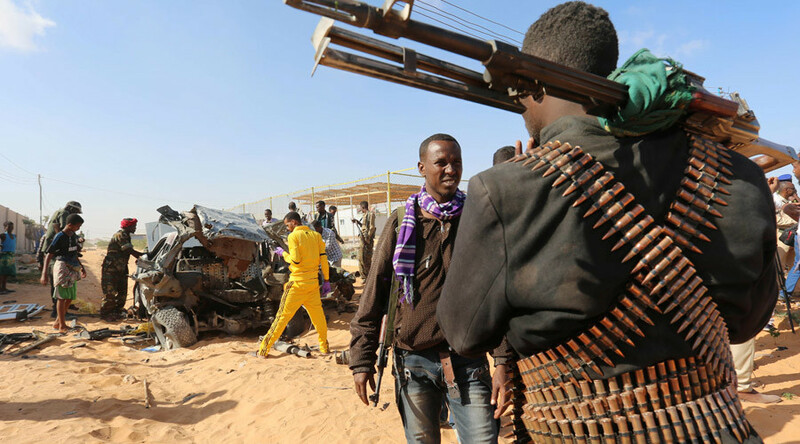 He may not have that much time, however, as the African Union is reportedly planning to withdraw its peacekeeping force from the country in 2020 and leave the Somali government to fight Al-Shabaab by itself. If President Donald Trump approves the expansion of involvement in Somalia, the mission there would come to resemble the current Operation Resolute Support in Afghanistan, where several thousand American troops are advising, assisting, training and propping up the government of President Ashraf Ghani Ahmadzai. The US has been secretly involved in Somalia since 2007, spending over $1 billion to fund the African Union mission (AMISOM). As a result, the terrorists ‒ who held 60 percent of Somali territory in 2010 ‒ were reduced to 6 percent in 2015. The group continues to carry out suicide and car-bombing attacks, however.